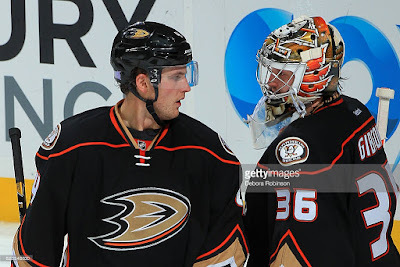 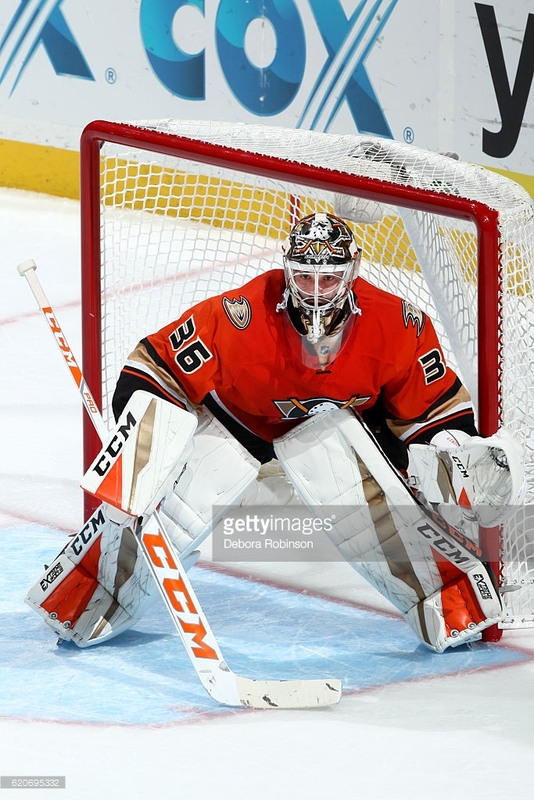 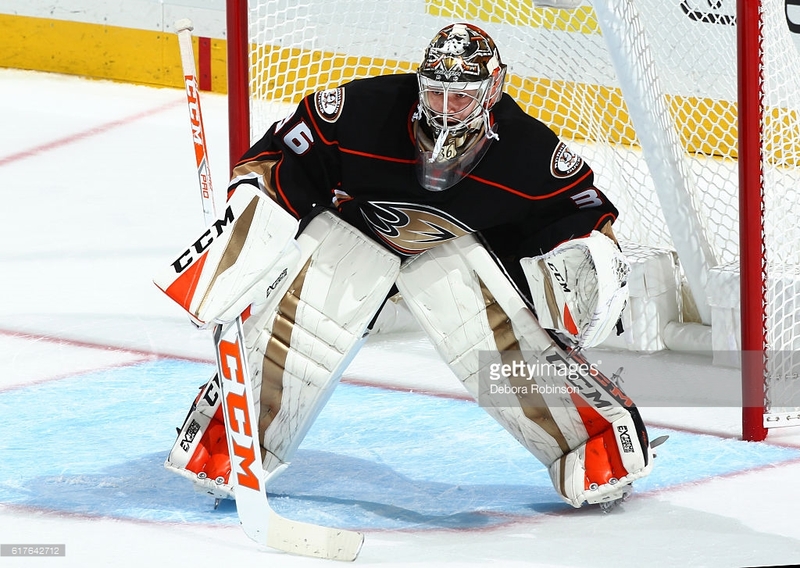 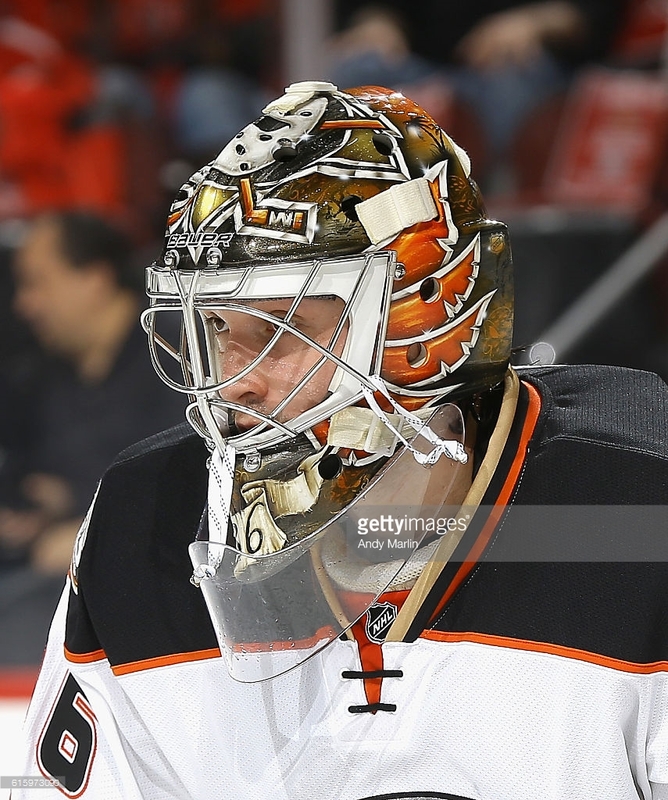 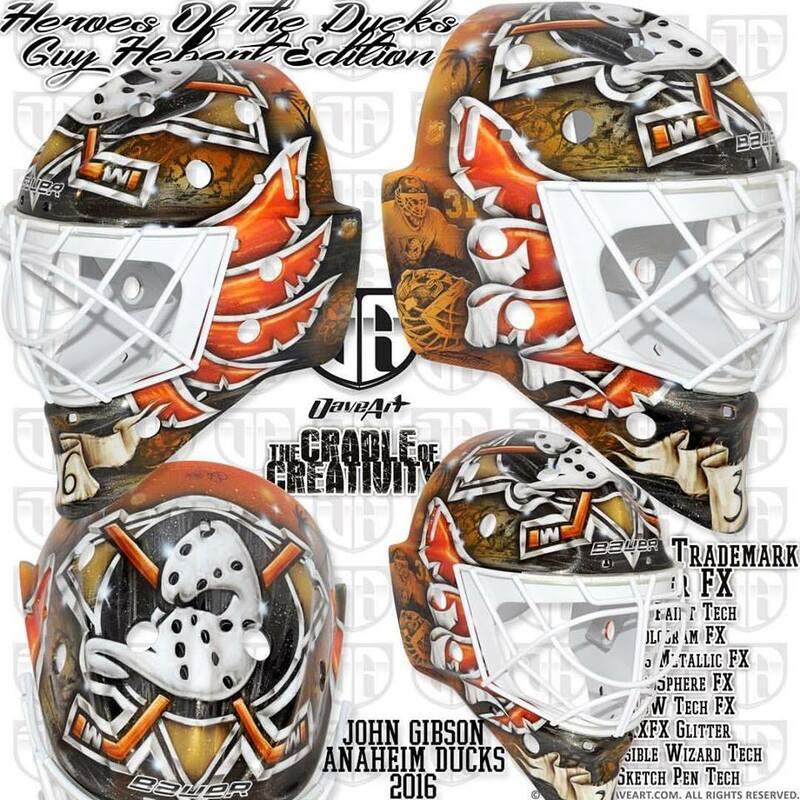 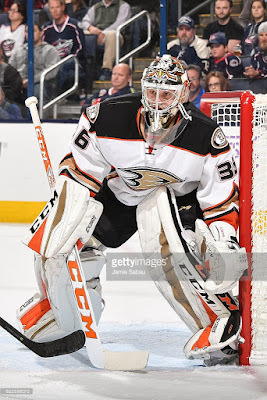 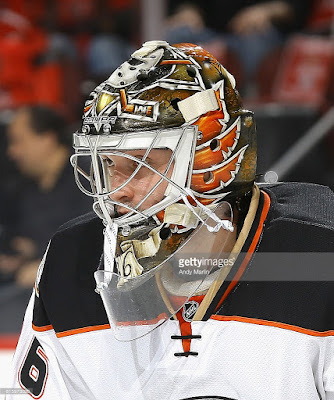 This is John Gibson's latest Ducks mask in a new era of Ducks masks. 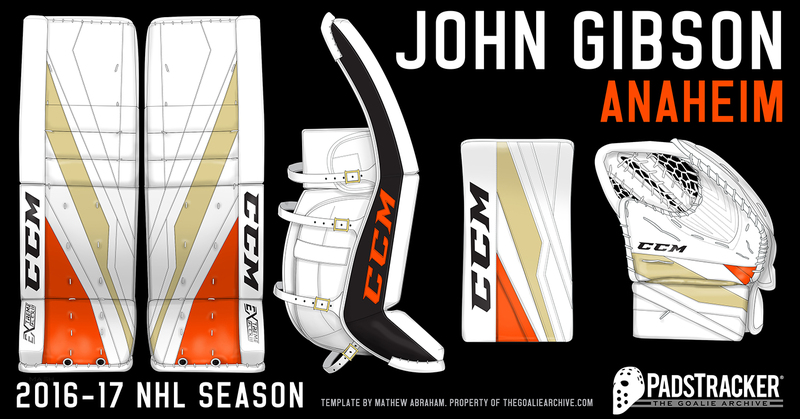 John knew what he wanted on his new mask, and this mask is a first step in a series of masks. John wanted to pay tribute to legendary Ducks players from the history of the franchise. And what could be better than start with the first Ducks goalie, Guy Hebert. 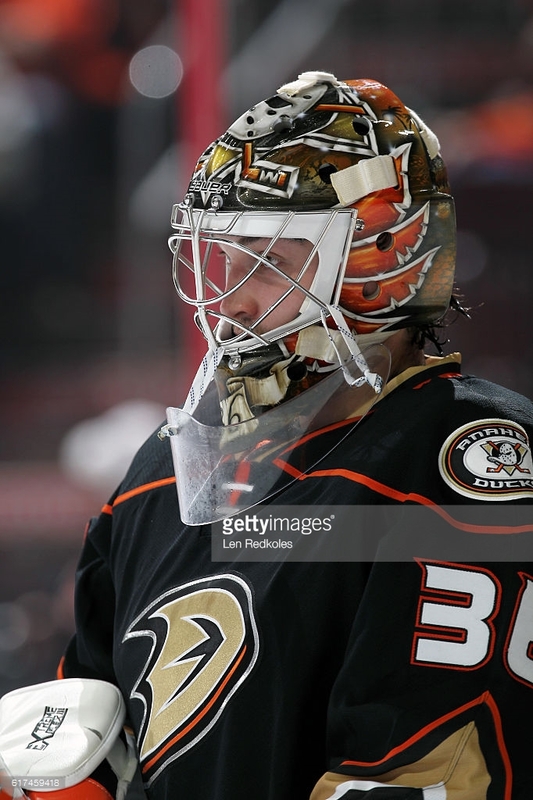 So this mask is a total tribute to Mr. Hebert. The design is inspired from Hebert's iconic Ducks masks created by Dennis Simone. 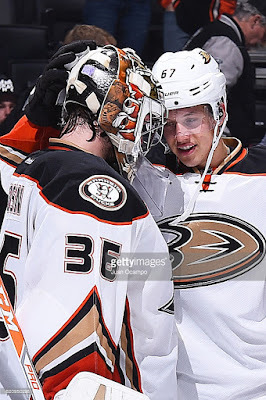 And when you come closer the mask transforms into a storybook. There on the side behind the feathers, you will find a painting of Hebert, and also his iconic mask.